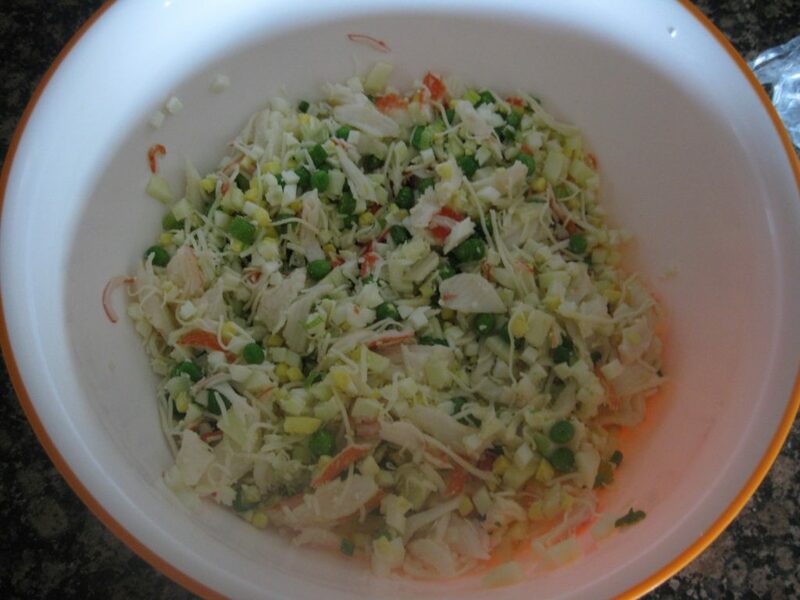 There is many different varieties of crab salad. This one is with green onion, peas and garlic. 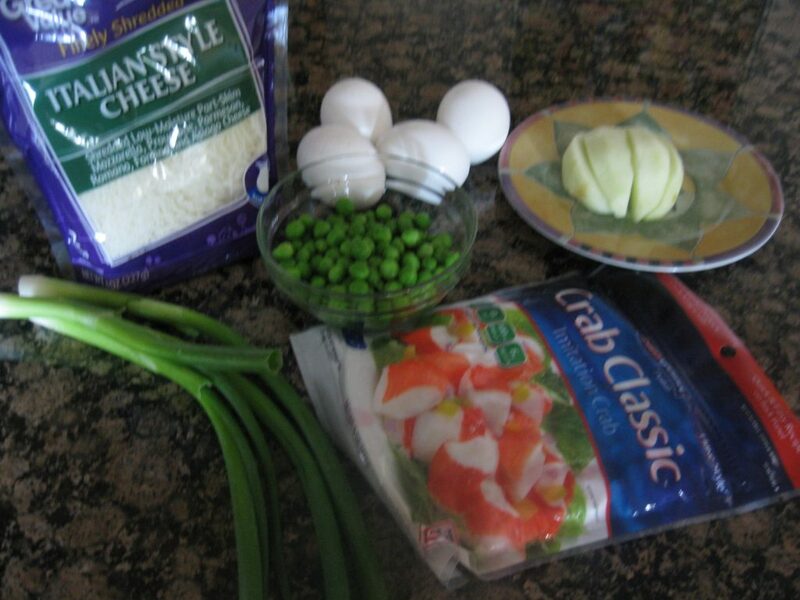 Easy to make for gethering, if you just boil eggs in advance. Boil eggs about 12 min, transfer to a cold water to cook. Brake crab meet in pieces. Thaw peas at aroom temperature or in warm water then drain it. Cut eggs, apple and onion. Mince garlic. 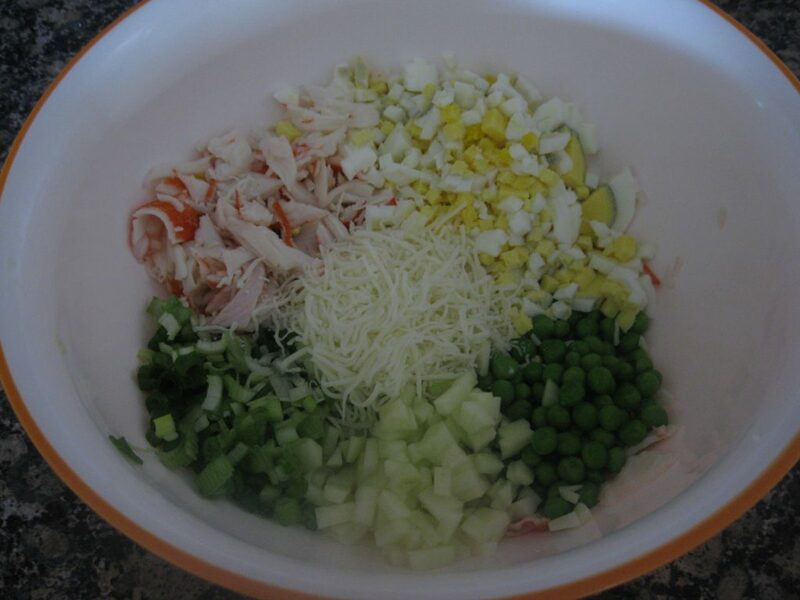 In the large bowl combine all ingredients except mayonaise and sour cream. 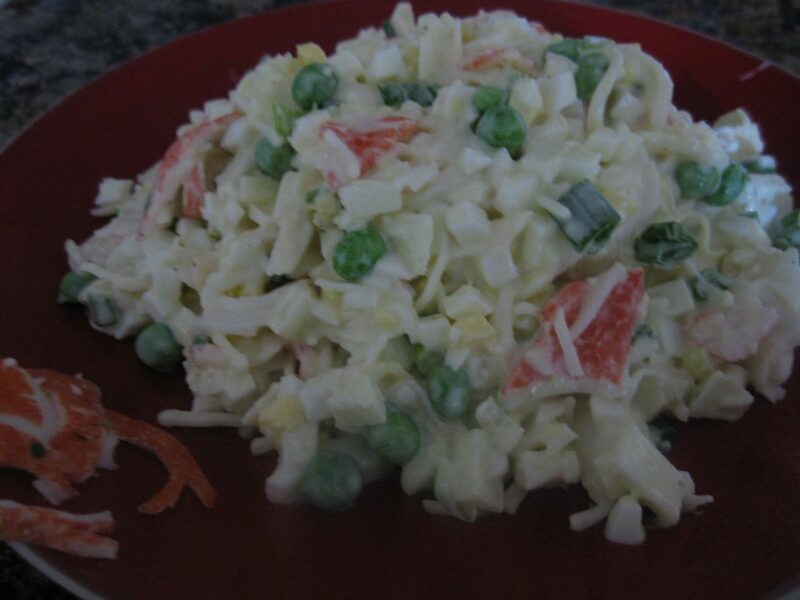 Separately mix together mayonaise with sour cream and add it to the salad. Serve it as main dish or on a side.